I have to admit, when I first saw the Trintec Zulu-7 Pro on Kickstarter back in April, I was skeptical. Other instrument watches by Bell & Ross, Christopher Ward, and Trintec itself drew inspiration from cockpit gauges, but the Zulu-7 went the whole hog. It looks for all the world like someone unbolted a cockpit clock and strapped it to their wrist. That's a bold move, but does it work? First of all, we have that gargantuan case. 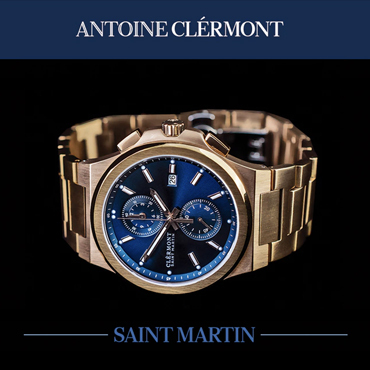 Measuring over 47mm wide, 56mm from lug to lug, and 17.5mm thick, it dwarfs most other watches. It could eat a 46mm Bell & Ross BR-01 for lunch. 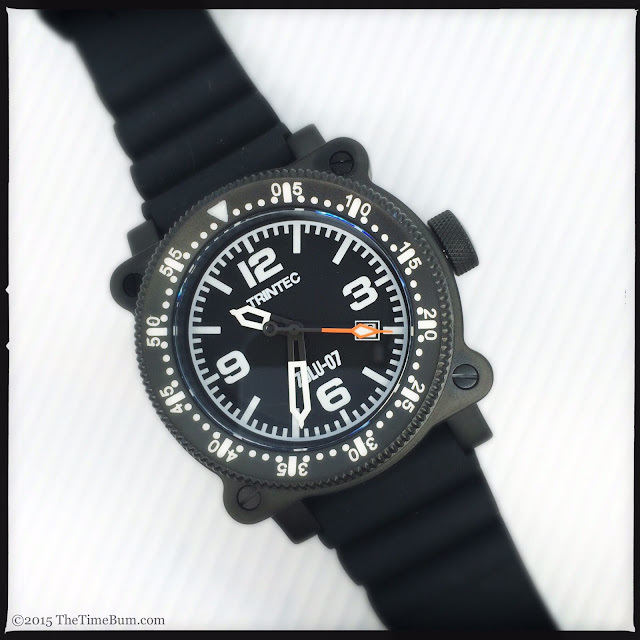 Where similar watches use fastener heads in the corners to suggest a dashboard origin, the Zulu-7 actually incorporates rounded flanges that protrude from the square central body. If you look at the real instruments in the promotional pictures, you can see that they did not stray far from the original object. I would describe the case as brick-like, but that would be unfair. To be sure, the watch is thick, square, and heavy (175g), but it is not at all unwearable. The lugs are thick, straight, and angled slightly downward to provide some contour. There are no hard corners or sharp edges to dig into your wrist. 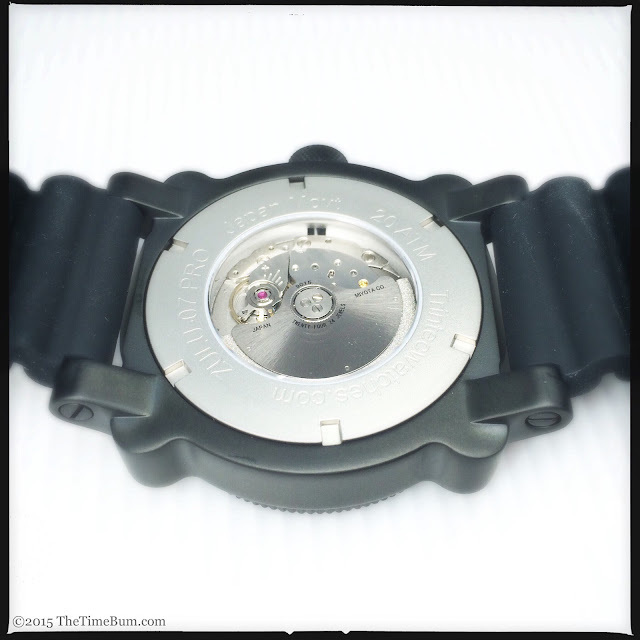 A knurled, 9.5mm, screw-down crown occupies the 3 o'clock position. It is oversized, but then again, so is the case. 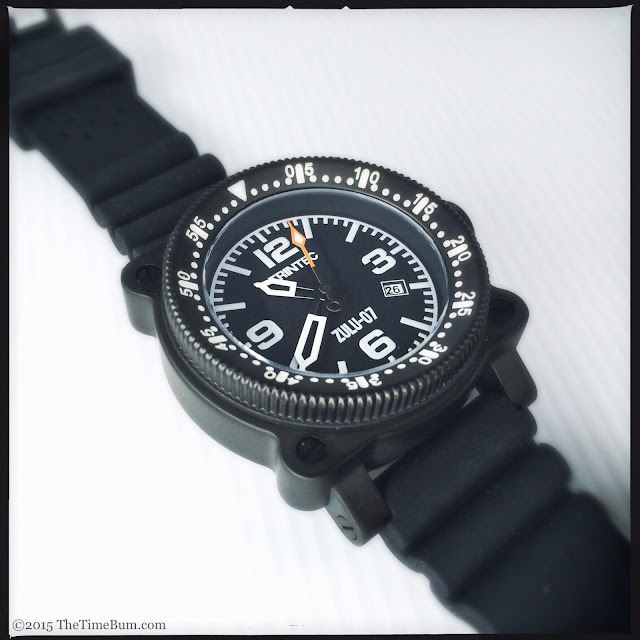 The 24mm dive style synthetic rubber strap does a good job of balancing out the chunky case. It is secured with 3mm screw bars. It is certainly secure, but you will need to break out your screwdrivers to separate them, and your usual 1.6mm Panerai tools won't do. I found 2.4mm was a perfect fit. 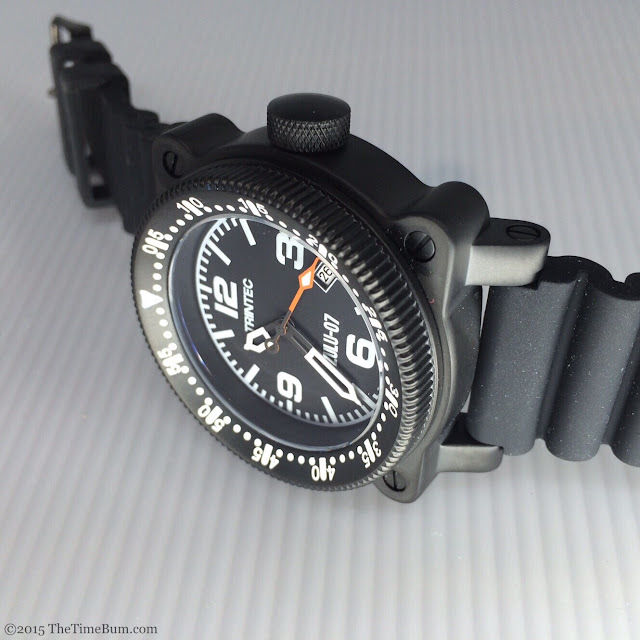 Cinched to its tightest setting, the strap was quite comfortable, even on my relatively small (6.5") wrist. 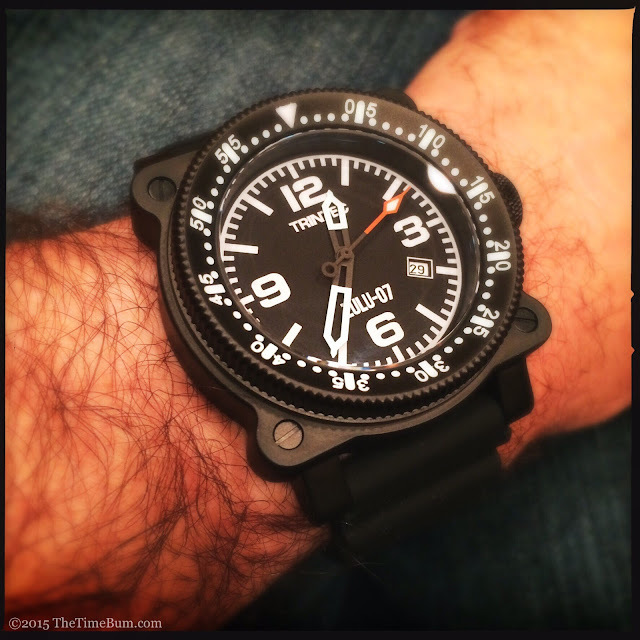 A brushed case is offered, but I opted for the matte black PVD. After all, it's a big case, and black is slimming. On the flip side, a display window showcases the Miyota 9015 automatic inside. You know the drill: 24 jewels, 42-hour power reserve, and a smooth 28.8k bph sweep. It's a quality movement that should provide years of trouble free service. 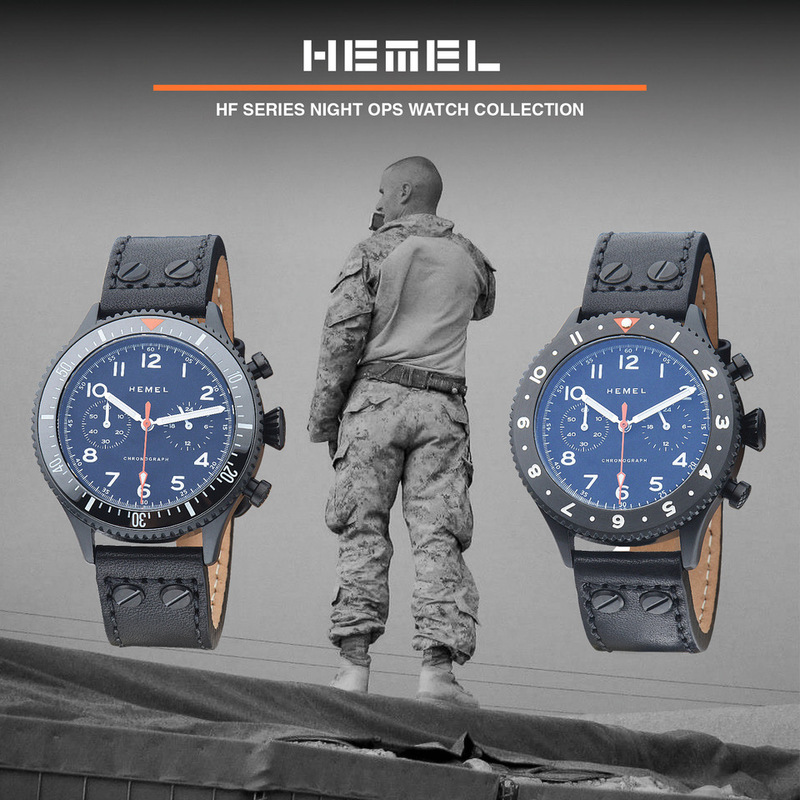 The dial is matte black with large numbers, index, and skeleton hands, all printed with a generous helping of SuperLuminova. It has a black-on-white date window at 4 o'clock and an orange tipped second hand for a bit of color. It is all business and exactly what you would expect from an instrument watch. The bezel is huge, even considering the size of the case, occupying approximately one-third of its height when viewed in profile; however, Trintec has made good use of this space. It wears a fat coin edge and towers over the flat sapphire crystal below, offering an extra measure of protection. 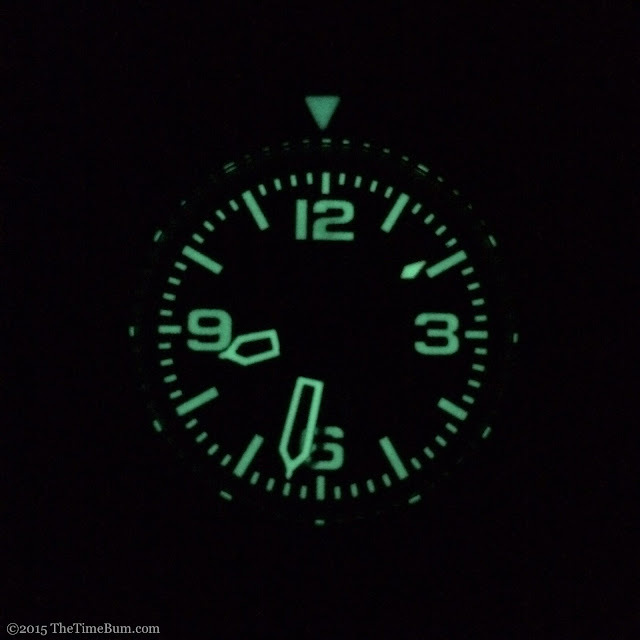 The markers on its inward sloping face are cast and painted with a lume pip at top center. It is unidirectional, traveling 120 steps with firm, mechanical clicks and no back play. 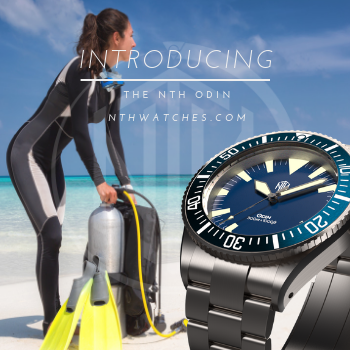 For a pilot's watch, there are a number of nautical touches like that unidirectional timing bezel, diver's strap, and 200 meter water resistance. 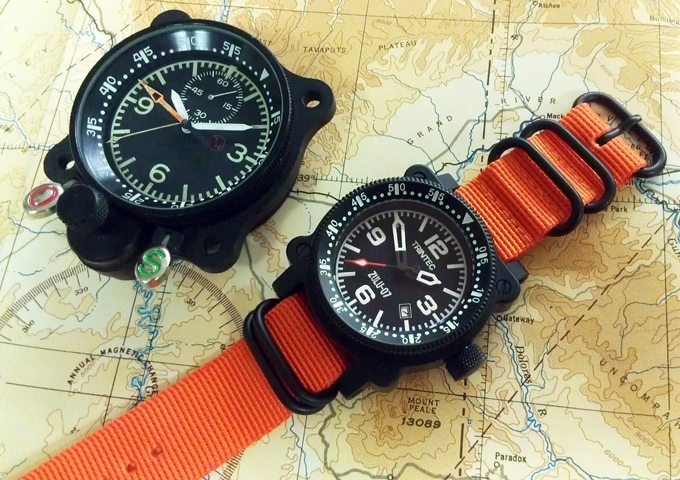 It even comes with a nylon Zulu strap if you order by November 1. In many ways, it reminds me of my cherished Citizen EcoZilla. It has the same monstrous size, sunken dial, and a similarly over-the-top aesthetic. It is not at all subtle, yet in spite of myself, I like it. As I said at the beginning, I wasn't sure what the make of the Zulu-7. Trintec's unflinchingly literal interpretation of an instrument watch had the potential to be a dramatic success or a cartoonish failure. I was prepared to hate it, but instead, I have come to admire its single-minded commitment to the concept. Is it crazy to wear a watch like this? Yeah, a little. But it is crazy fun too. The Zulu-7 will look great on a thick ammo strap or heavy canvas and it has the specs to back up its rugged looks. 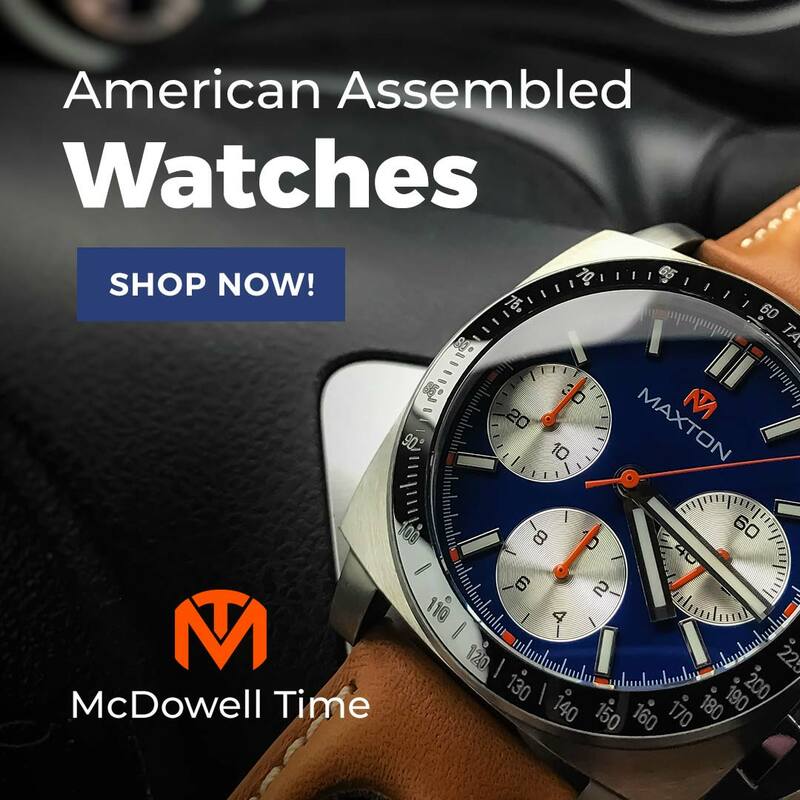 Sitting as tall as it does you can expect it will take some knocks (when you wear a watch this big, the world is your doorframe) and look all the richer for it. Let the gawkers think it has seen some heavy action. The Trintec Zulu-7 Pro is available direct for $699.95. Sum: Not for everyone, but great fun. The Time Bum approves.